The British government says it hopes to resume talks with Labour to try to find a Brexit deal that can be passed by parliament. However, on Monday morning it was unclear whether the two sides would actually meet – let alone make progress towards an agreement. Culture minister Jeremy Wright said he hoped that discussions would continue, adding that all sides needed to be ready to compromise. Foreign Secretary Jeremy Hunt said the prime minister was leaving “no stone unturned” in her determination to deliver Brexit. Labour’s Brexit spokesman Sir Keir Starmer said that “exchanges” had continued over the weekend, but no new talks were scheduled and the party was waiting for a concrete proposal from the government. 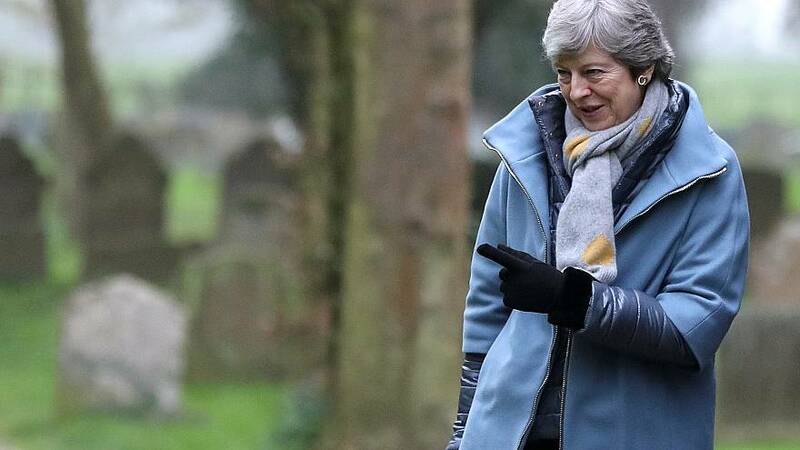 Theresa May has claimed that reaching out to the opposition party is the only way to avoid either leaving the EU with no deal or not leaving at all. The prime minister defended her stance in an uncharacteristically informal video on Sunday. She has just days left to come up with a solution before the latest Brexit date due on April 12, although she has asked Brussels for an extension to June 30. A decision is expected at a European Council summit on Wednesday. Labour has said it would welcome any concession on a permanent customs union, a suggestion that one government minister, Solicitor General Robert Buckland, described as the “most likely outcome” from talks. A similar proposal in the House of Commons recently failed by only three votes to secure a majority. However, the idea has prompted fury from Conservative Brexiteers, many of whom favour leaving the EU with no deal. Once again, former foreign secretary Boris Johnson used wartime language to complain in a newspaper article that such “surrender” to Labour leader Jeremy Corbyn would “enslave” the UK in a customs union with the EU. Labour’s business policy chief Rebecca Long-Bailey has said that any cross-party accord would need to be “Boris-proof” – in other words, immune from the prospect of a Eurosceptic successor to May ripping it up and pursuing a much harder Brexit. "We are currently waiting for the government to come back to us now to state whether they're prepared to move on any of their red lines, she told the BBC's Andrew Marr on Sunday. "As I say, we had great discussions and we went into a lot of technical details but so far we haven't seen anything from government that would suggest they are prepared to change any part of the deal going forward." However, Finance Minister Philip Hammond and Foreign Secretary Jeremy Hunt have both said the government has no “red lines”. The Political Declaration – the non-binding part of the negotiated EU-UK exit deal covering future relations – calls for “ambitious customs arrangements” and says a “spectrum of different outcomes” are possible. Labour wants to ensure smooth trade continues by keeping the UK within the EU’s common external tariff. Conservative Brexiteers want the UK to have an independent trade policy. Internal divisions within the Labour party are also putting its leadership under pressure. Eighty Labour MPs have written to Jeremy Corbyn to demand he insist on a second referendum. A large majority of the party’s membership is in favour but some frontbench figures are opposed. The EU’s chief Brexit negotiator, Michel Barnier, is due in Dublin on Monday to meet the Irish Prime Minister Leo Varadkar and other senior government officials ahead of Wednesday’s summit. No-deal planning is expected to feature highly on the agenda. EU government leaders are expected to agree to some delay when they meet in Brussels on Wednesday. However, opinions vary on the length of any extension – and exasperation with the UK’s Brexit paralysis means there is a risk the EU27 will fail to give the green light and the country will crash out on Friday. The UK House of Lords is expected to finish examining a bill from Labour’s Yvette Cooper and Tory ex-minister Sir Oliver Letwin, aimed at extending the Article 50 process by law to prevent a no-deal. Leading Brexit supporter, Conservative MP Jacob Rees-Mogg, said over the weekend that if the UK was forced to stay in the EU it should make life difficult for Brussels. "When the multiannual financial framework (next EU budget) comes forward - if we're still in (EU) - this is our one-in-seven-years opportunity to veto the budget and be really very difficult and I hope that any British PM would take that opportunity," he said, in what was seen as a provocative move to bring about a no-deal by inciting EU leaders to reject the UK’s extension request. Brexiteers fear that a longer extension increases the risk that the UK will not leave the EU at all, while some EU leaders have expressed alarm that continued British membership amid ongoing uncertainty would have a negative influence. The upcoming European Parliament elections – and the question of whether or not the UK will take part – are concentrating minds. If May can agree a compromise deal with Labour then she will have something new to take to an EU summit on April 10. If not, she will have to come up with a new plan if she is to secure an extension from EU leaders, who are losing patience with the United Kingdom. What’s in Theresa May's Brexit deal and why is it so unpopular?